Staff training is an area that is of vital importance to a fitness operator. As organisations it is important that our staff hold the key skills that they need to operate in what is an ever changing business environment. Having staff that have both the theoretical and practical skills to deliver a high level of customer service and tend to be more productive and efficient. Many employers underestimate the effect that training can have on staff and their level of job satisfaction and therefore motivation. By having a structured and well delivered training programme in place this can help to reduce staff turnover and improve morale. By an organisation offering training this can show a level of commitment from the employer to the employee and can help to instil a level of loyalty. As an organisation training staff can help to broaden the skill set within the business, and this allows for a greater level of organisational flexibility. The first step in establishing the scope of training programme that you need to implement is to conduct a skills audit. This involves looking at the skills and qualifications held within the business currently. The easiest way to do this is via the staff appraisal process or using a questionnaire. An important aspect of this process is to additionally establish if any members of your team feel that lack any skills, or would be interested in gaining new skills. This will help you more clearly understand the level of skills within the business and by seeking the advice from not only department managers but also the staff you will get a clear insight into how skills sets are viewed across the organisation. When looking at what are referred to as key skills, these are those skills that your business can not operate without. These are commonly skills such as first aid, lifeguarding or similar. It is worth considering both succession planning and also ensuring that these skills especially are over catered for. It is always a difficult situation when you are over reliant on a small number of team members as they hold the key skills that the business needs. The next step is to establish what skills the business needs to achieve it’s goals. This can be done by examining a wide variety of data including feedback from staff/management/members, emerging industry trends, and the established company goals/strategy. Looking at this information will allow you to clearly identify what skills you will require from your team as you move forward. Planning as far into the future as possible is vital to help avoid a skills shortage. The difference between the skills that an organisation holds and those that they need is potentially where you may find a gap in your skills. This is where you training plan is then formulated. As with anything in business having a plan is the key to success. When it comes to training plans it is important that the plan is not only fit for purpose but also that it is actionable. Many organisations have amazing training and development plans. However many times these are costly and time consuming to implement. A simpler plan that can actually be actioned is always the best way to go. The type of training programme that you would then wish to implement is then a key consideration. One of the first decisions is the skills that need to be developed through formal training and which can be carried out informally. 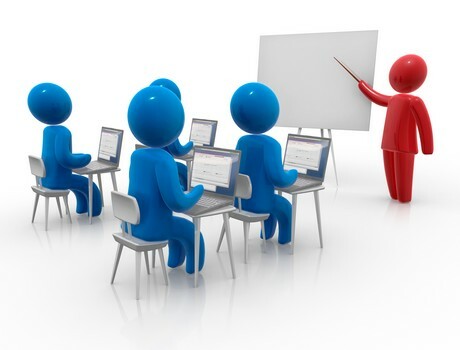 Formal training is training that is generally certified via a recognised awarding organisation. This is generally used when the training required that is formally recognised. A key benefit of this is that is would be delivered to an industry recognised standard and by a professional training organisation. Where formal training is used it can be costly and this may be something you retain to give to proven team members due to the portability of this type of training. Whereas informal training is generally un-certified and carried out internally. Most organisations choose to use informal training from more internal processes and inductions. An easy way to implement on-going informal training is to introduce to team meetings the sharing of good practice. This small aspect of training can help to not only motivate and recognise the person behind the good practice but also raise the level of service and skills across a team. Additionally having team members teach on a subject of their choice the rest of their team mates can be a fun and interactive team building event and also help to spread skills. Many team members are interested in self-improvement and this is an aspect that many employers under estimate. When an employer provides a means for self-development you will get a number of staff who will exploit this. One simple way is having some basic resources that staff can borrow to aid their development. This could include books, or even better digital information that promotes the staff member doing some wider reading. Essentially when you build a learning organisation, you introduce opportunities at every level into the business for development. By implementing a structured plan however minor you start to see improvements in productivity that far outweigh investment of time or financial cost. zusammen mit Ihrem inspiriert beeindruckt Kompetenzen unnd mitt der laylut Zu Blog. Ist, dass dies eine bezahlte Therma oder haben Sie anpassen Ihr Selbst? seltene Sehenswürdigkeiten a schön Blog wie diese heute ..